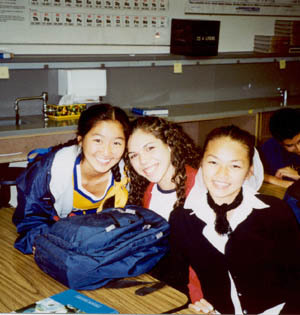 Welcome to Mr. Wigger's Website for Chemistry 1 & 2 at Glendale High School in Glendale, California. This is a work in progress and was started in Nov. 2003 as a aid to students in Mr. Wigger's classes. The first topic posted was homework. With time, more has been added as you can see. Whoever you are, teacher or student, I hope this site is helpful to your interests. Take this link to get a look at our Chemistry department. Chemistry Department – Glendale High School. PARENTS - If you are concerned about your student going to sites on the internet you don't approve of, use this link and get one of the best internet filters available to parents. Click on Make the Internet SAFE.